Many of you have been in the situation where you were quoted a salary or hourly rate, were excited to get your first paycheque and disappointed when you don’t receive as much as you expected. “I thought I was going to be earning $52,000 a year, or $2,000 bi-weekly, where did the other $500 go! ?” Well, you’ll have to thank taxes, CPP contributions, EI premiums, and benefits for that. I’ll go into more detail about how each of these deductions work. When you earn an income in Canada, you owe taxes on that income. 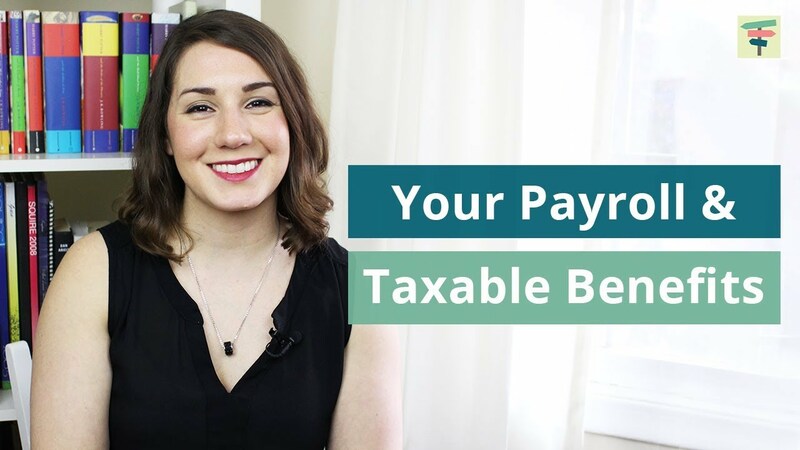 Your employer will automatically deduct taxes from your paycheque and remit them to CRA on your behalf. Your accounting department will take the amount you make per year, estimate the tax rate on your income, and send the CRA the appropriate amount each paycheque. If you’re making a steady salary without other income, this is straightforward and your after-tax income should be the same each paycheque. However, if you receive a bonus, that make things slightly trickier. A viewer, Jeff, asked me about bonuses specifically. In Canada, bonuses are taxed as regular income. In other words, if you are earning $52,000 in salary, and receive a $5,000 bonus during the year, your taxable income is simply $57,000. When your employer pays this amount out, they’ll calculate how much the bonus increases your tax rate and deduct an amount that’s appropriate to offset the increased tax rate. Therefore, the amount of tax you pay on a bonus is a higher proportion of the bonus than your regular bi-weekly salary would be. Using a government of Canada calculator, I estimated that $1,427.81 in tax would be withheld from the $5,000 bonus. This is 28% withheld in taxes, compared to 16% withheld from a regular $2,000 bi-weekly paycheque. Another $300 or so in CPP and EI deductions would also be withheld. The $3,236.19 could be put into a personal RRSP. Come tax time, you would get a tax refund of about $959.53 for the $3,236.19 contribution. However, if your employer has a pension you’re allowed to contribute to, you could request your bonus to be paid into the employer RRSP. The CPP and EI would be deducted from that, but the rest, less a small amount of tax payable would go towards the RRSP. This would lead you to be able to make a $4,600 RRSP contribution. From your employer’s perspective you’re earning $52,000 salary plus $5,000 in bonuses, less a $4,600 RRSP contribution. Your net income is therefore only $52,400, rather than $57,000. They’re only taxing you on this smaller amount, so you wouldn’t get a tax refund for the RRSP contribution, since you haven’t paid tax on that amount through employer deductions. You can compare the $4,600 RRSP contribution to the $4,195.72 you’d get through the personal contribution plus the tax refund. Eventually you’ll be in the same position by adding the tax refund to the RRSP in the following year and so on. Having your employer contribute to the RRSP up front let’s you save more up front. This could also be achieved by filling out a T1213 form to outline person RRSP contributions so your employer doesn’t deduct as much tax on your income. However, if you don’t know how much your bonus will be, this can be more difficult. A couple things to keep in mind when using this strategy: 1. You only have so much RRSP room, so if you receive a hefty portion of your income in bonuses, you might not be able to shelter it all. 2. Weigh the pros and cons of having an RRSP through an employer plan versus managing your own money or having it managed by your advisor. The next employer deductions are CPP contribution and EI premiums. CPP stands for Canada Pension Plan. This is a mandatory pension plan that all wage earners pay into and can receive a retirement income beyond age 60. EI stands for employment insurance, which provides a portion of income to employees who are unable to work due to no fault of their own. Like income taxes, your employer is required to deduct and remit CPP contributions and EI premiums to the government on your behalf. They also have to pay their own CPP contributions and EI premiums for each employee. Historically, CPP contributions were 4.95% for the employee and 4.95% for the employer. These contributions only start after an income of $3,500 per year and are capped at a specified income each year. In 2019, that maximum income is $57,400. The Canadian government has enhanced the CPP, meaning that we will receive a higher payment when we retire, but also have to pay more now. In 2019, the amount is 5.10% of earnings. That will increase gradually until it reaches 5.95% in 2023. If you’re self-employed, you’ll need to pay both the employee and employer portions of CPP, or 10.2% of your earnings. For the $52,000 earner in Ontario, that means $95 of each bi-weekly paycheque will go towards CPP contributions. You employer will also contribute $95 each paycheque towards CPP. EI premiums for 2019 are 1.62% of your income. Therefore, in this scenario $32 is deducted from each paycheque and an amount is also paid directly by your employer. Generally self-employed individuals don’t pay EI premiums, but also don’t receive their benefits. Coming back to the bonus example. Even though the bonus is being put towards the RRSP, bonus income still counts as employment income for CPP and EI purposes, therefore that needs to be deducted from your bonus before any amounts can be put towards the RRSP. Another deduction you may notice, if you’re eligible for them, are employer benefits. These include things like group life and disability insurance, accidental death and dismemberment, and health coverage. Some of these benefits you pay for, and are automatically deducted from your paycheque and sent to the group plan provider. Instead of going out and finding a private insurer and paying for coverage after you receive your after-tax paycheque in your bank account, they are deducted from your paycheque automatically. In return, you get the coverage through a group plan. That’s a fair point, however even though you might not be using the benefit in terms of filing a claim, you still get the financial benefit of having that coverage. Let’s use life insurance as an example. Let’s say your employer pays $5 per paycheque for your group plan. You aren’t claiming and receiving any life insurance benefit per se (unless you die), but you are getting a benefit from your employer by not having to pay for life insurance out of pocket. Another way of looking at it is this: Your employer pays you an additional $5 per paycheque. As extra income, you’d have to pay tax on this amount. You then turn around and pay $5 per paycheque to a life insurance company for an equivalent amount of insurance. While you aren’t exactly seeing a financial gain on a regular basis, you are gaining by having the insurance protection in place and not having to pay for it from your regular income. The government has a list of items that are and are not taxable benefits. Typical taxable benefits include: insurance, use of a company car, housing, etc. Some employer benefits aren’t taxable, like health plan premiums. Generally, if you don’t have many additional credits and deductions to claim on your taxes, your tax paid through your employer and your income tax owing come tax time should line up. However, things like raises, varying income and commission, bonuses, employer share compensation plans, income earned outside of work, HR errors, etc. can cause your tax deducted and tax owing to deviate. You can use online calculators to check this occasionally or at the end of the year when you get your final paystub so that you aren’t surprised come tax time.